Most paper aeroplanes can perform stunts if you calibrate them right; however, some are considerably better than others. The Squirrel is specifically designed as a stunt plane. If you tweak it in the right way, it can perform loops - even in a normal sized front room, boomerang back to you and do camel humps. Instructions on how to set the plane up to perform those stunts are on the can be found on the Stunts & Aerobatics with paper aeroplanes page. 1. Start with one A4 size peice of paper. 2. 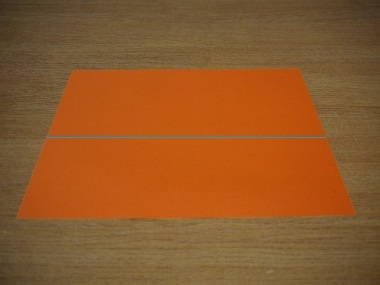 Fold the pace of paper in half longways along the blue line so you get the diagram on the right. 3. 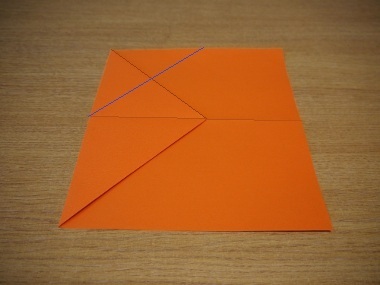 Fold one corner on the top most flap of paper down to the centre line. 6. Fold along the blue line so you get something that looks like the diagram on the right. 7. 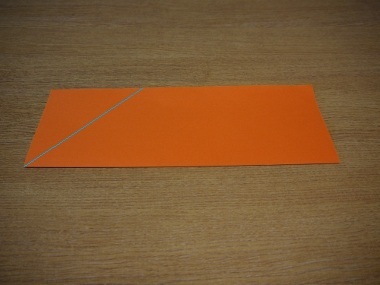 Fold along the blue line, so that one side of the flat bit at the front of the plane meets the centre line. 8. Then do the same thing on the other side. 9. 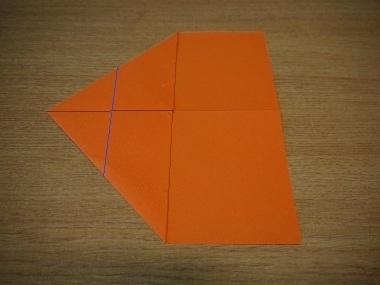 Fold the tip of the plane along the blue line. 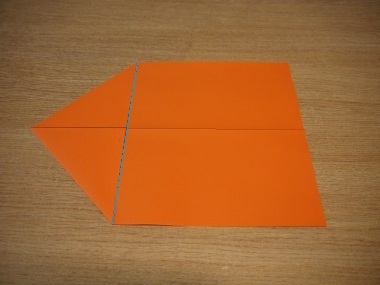 The tip should meet the point where the other folds cross, as shown in the second of these diagrams. 10. Refold along the centre line so you get something that looks like this. 10. Now we're going to fold down the wings. 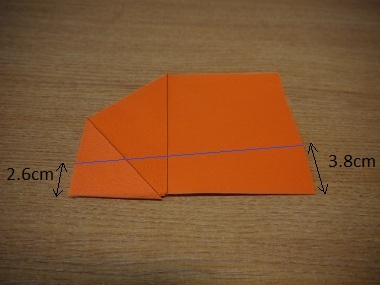 Fold one side of the plane along the blue line according to the dimensions shown. You should get something that looks like the diagram on the right. NOTE: Some of the folds will be getting a bit think at this point, and it is not unusual for a bit of warping of the paper to occur. 11. 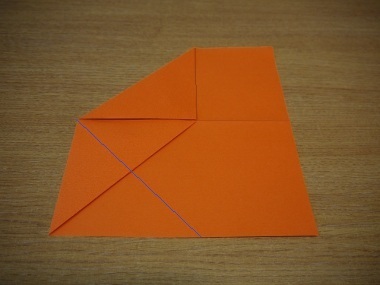 Repeat the fold on the other side of the plane, so you have something that looks like this. 12. Open the wings out, so you have something that looks like this. 13. Flip the plane onto its back. 14. 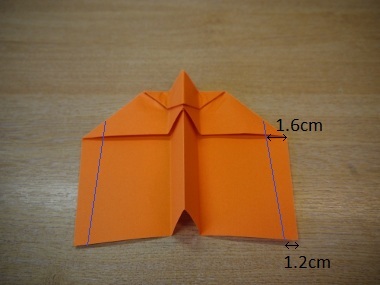 Fold a the fins using the dimensions shown. Because the fuselage is high at the back than the front, the fins need to be folded so that they are slightly taller towards the front than the back - otherwise they would not be parallel with the fuselage, and cause unneccessary drag. 16. Flip the plane over and you've finished the main construction. This is usually the point where I tell you that you need to calibrate your plane in order to fly straight. You can do this if you like, however, in order to perform stunts, you need to calibrate in a different way; the details are on the stunts and aerobatics page.